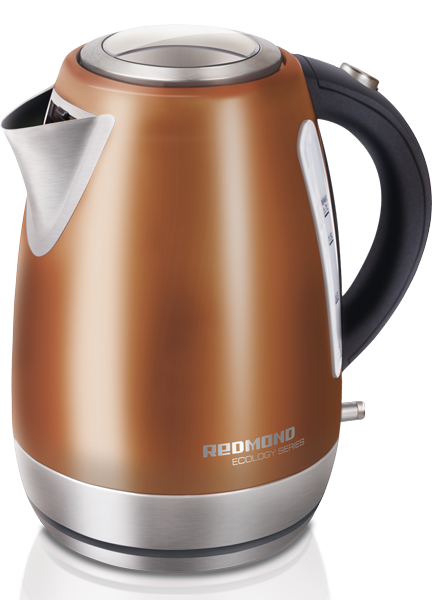 The electric kettle REDMOND RK-M143E is a new model, made of stainless steel and represented in several colours suiting any taste. The kettle M143E is equipped with a brightly illuminated water level scale, ergonomic handle and 360° rotating base. Thanks to combination of modern technologies and eco-friendly materials, the boiling process in this device is quick and safe. The safe Strix® Group connects the kettle and the base and provides safe appliance operation. 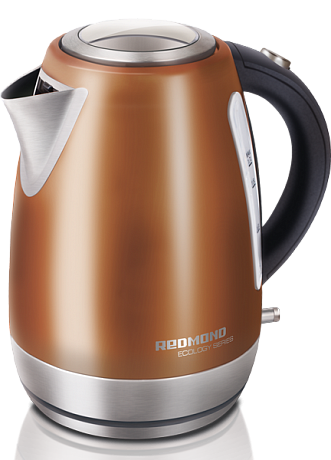 The REDMOND M143E has such an advantage as a removable filter allowing you to easily clean the kettle from scale and provide maximally long service life of the appliance. If it's a kettle - then it's REDMOND! * The manufacturer has the right to modify design, package contents and technic features of the appliance in the course of products improvement without additional notification of these modifications.